As I am classed as a type of Golf Psychologist, a lot of people ask me for the secret to good golf. I usually reply like this. When you play golf well there is a wonderful feeling of satisfaction that is hard to describe unless you have felt it for yourself. My guess is that you are a golfer, so you know what I am talking about. If you can, cast your mind back to a time when you played really well and had a good round of golf. In my own experience, this is a typical scenario. Your shots feel powerful yet effortless, your chip shots are purposeful and sharp and your putts roll straight and true to a good length. You are more aware of your swing without trying to control it; in fact there is an absence of control and a freedom of movement that is really enjoyable. You may be more aware of your target, see it better or connect with it better, without really trying to do so. There is very little doubt in your play, in fact you trust yourself more than usual. Poor shots are disregarded. You feel calm and quiet inside. As a golfer and a Golf Mental Coach, I realise that these days are to be appreciated. Any number of Golf Psychology books will tell you that at these times you are in, what is commonly called The Zone. I am sure as well as the joy of playing well you have experienced the frustration and misery of playing poorly. Anxiety creeps into your swing as you look to control it more; you doubt your own ability to execute the shots. You lose your connection to the target as your mind gets more and more confused. You become angry and frustrated with yourself. Your swing feels tight and contrived, your chip shots are nervy and your putts are jerky and often too long or too short and never threaten the hole. You disregard any good shots as your mind jumps from one swing fix to another without really being aware of what the problem is. You feel stressed. As a golf mental coach / golf psych, I must ask, how can the same person experience such vast differences in performance? What stops us from playing to our potential more of the time? If you compare the two scenarios above, you would have to agree that it is a strange phenomenon. Does our ability diminish in between these two rounds? Logic would suggest no, yet often we seem to stop ourselves from accessing our ability to perform to our potential. This is not something we intentionally set out to do. Wouldn’t we all like to play well more often? So what gets in the way? Well in short, WE DO. WE GET IN OUR OWN WAY. The idea that you need to find something that you lost in your swing if you hit the ball poorly that day. What did you lose? Where did you lose it? 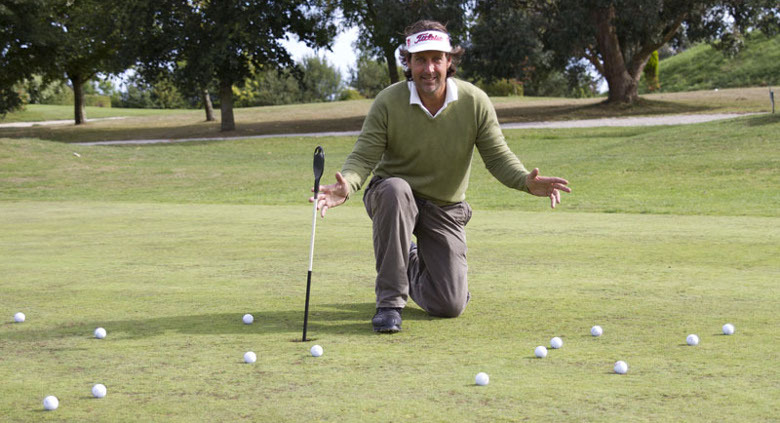 Did you ever putt poorly in one round and then in the next round putt well, without any real practice in between? What changed between rounds? Was it your stroke or you? The existing culture of golf will tell you that you made a different stroke or altered something in your stance, which made the difference. I put it to you that it was you that made the difference. There was a subtle difference in you. Whether you believed in a tip you had been given or you were curious about a part of your stroke, the difference was that you were able to be more relaxed and focused which allowed you to putt well. Have you ever gone out the day after hitting the ball poorly and hit the ball well without any practice in between? If this has ever happened, even once, and my guess is that it has, then how do you explain it? Perhaps playing poorly lowered your expectations for the next round, which enabled you to relax more. Perhaps it was precisely because you did not look for something that you were able to play well. Maybe the only thing that is lost is you. Where are you when you swing? Worrying or trying to remember things? So perhaps nothing is lost in your swing. Perhaps it is merely obscured by your own doubt and anxiety, like a cloud which covers the top of the mountain from time to time – this does not mean the top of the mountain is lost. What you lack when you are searching for something is TRUST. It is really difficult to play without Trust and it is something that you can and should develop. So my job as a Golf Psychologist / Golf Mental Coach is to have you develop trust in your swing and yourself. 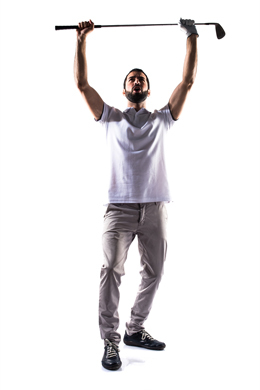 To help you develop the confidence that allows for the odd poor swing and can then swing with complete Freedom. To draw from you your innate ability to be able to relax and concentrate well when you play golf. So perhaps less is more, when it comes to golf? Less worrying means More Freedom. Less searching means More Trust. 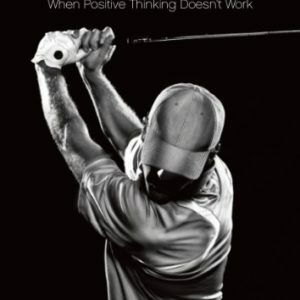 Golf Psychology – When Positive Thinking Doesn’t Work. As a rule I would prefer that a golfer has a change of attitude rather than follows a golf psychology tip. However, if I were to give two tips they would be…. If you have been trying hard to get better for a long time then do this. Stop trying so hard. Stop trying to be good, stop trying to remember how to swing correctly, stop trying to beat your playing partners, stop trying to look good, stop worrying about playing bad. All of the above induce tension. Tension ruins the golf swing. Instead of trying hard, play with an easy sense of fun and curiosity. Like I said more of a change in attitude than a tip. This change in attitude is a key to unlocking your potential. Let go of any expectations for the round. Good or bad expectations help you to get in your own way. Instead play the game with an open mind and a sense of wonder. I wonder how I’m going to play today. I wonder how my swing will be today. Along with an open mind to the results of your round try accepting any outcome before you tee it up. Promise yourself that you won’t react badly to any swings or bounces that don’t work out just right. Do it for one round. Forget your handicap, trying to win and so on. Playing with freedom from any expectations is a key to unlocking your potential. If you are struggling with results or if you would like to overcome your golf problems then the best way to proceed is to get in touch for a free consultation with me. Alternatively read my book to get some more great ideas on how to play to your potential more often. 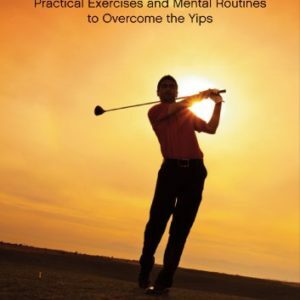 Most of the golf psychology courses that I have attended and the books that I have read on Golf Psychology, with very few exceptions, are based on similar theories. Usually they advocate being very positive, using lots of visualisation, repeating a key phrase or trying to feel a certain feeling. I have tried all of these theories on the golf course and while they can make some sense if you play well, there are no explanations for playing poorly other than perhaps you were not positive enough or that you did not visualise your shot well enough or you did not really believe in yourself enough. 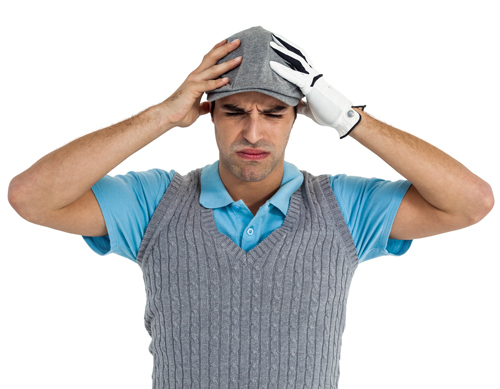 So, with all of the golf psychology I had read and applied, I found that if you don’t play well, you are left scratching your head and you often feel like a failure. 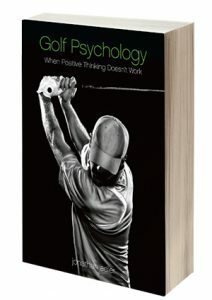 All of these Golf Psychology theories make perfect sense intellectually but they failed the practical test, so I wondered if the Authors and Golf Psychologists ever really applied their theories to their own games? If I was going to coach golfers in the field of Golf Psychology, then I had to have practical experience of my own. I wanted to explore different ways of understanding my mind and how it reacts to the game and not just accept the same old positive thinking blurb I had read a thousand times. The one book that made a lasting impression on me was Timothy Gallwey’s The Inner Game of Golf. I had been introduced to his methods by some innovative Tennis Coaches and then by Sir John Whitmore who was an original collaborator with Tim Gallwey. His ideas often flew in the face of popular golf psychology. So I decided to find out for myself, but with few Inner Game Golf Coaches in existence, my only way to uncover these principles, and as I later found out, the best way, was to take some time and to learn for myself from my own experience. I won the Bournemouth open in 2009 by using the techniques I had learnt about. I have found that it doesn’t matter that the Pro’s I Coach are on another level ability wise, as when it comes down to matters of the mind, we all suffer from similar worries and neurosis. We all share the same mind if you like. Even though my experiences are unique to me, I have discovered that there are universal principles that apply to us all. So this is how my journey with the Inner Game of golf began in 2001. As my discoveries in golf threw up more and more questions, my thirst for answers led me to study many different Philosophies and Mental Practices. I moved away from most of the popular golf psychology, to try to understand the paradoxes that the game threw at me. My journey is ongoing, I will always be a student of the game of golf, but I feel ready to share my discoveries with you as I have been doing with my fellow golf students for some years.